Elaine Buckberg is Chief Economist of General Motors. Immediately prior to joining GM, she was a Principal at The Brattle Group, a global economic consultancy. 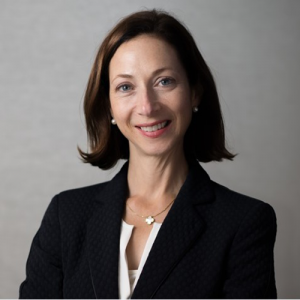 Previously, Ms. Buckberg served as Deputy Assistant Secretary for Policy Coordination in the U.S. Treasury Department’s Office of Economic Policy. She also worked at NERA Economic Consulting, where she was a Senior Vice President as well as a member of the firm’s Board of Directors and the Chair of the Strategy Committee. Ms. Buckberg began her career at the International Monetary Fund and worked in currency strategy and risk management at Morgan Stanley. Ms. Buckberg holds a Ph.D. in Economics from the Massachusetts Institute of Technology and a bachelor of arts degree in Economics and English Literature from Yale University.